After having insured many homes over the years I would like to offer my thoughts on the ways to get the best home insurance rates. 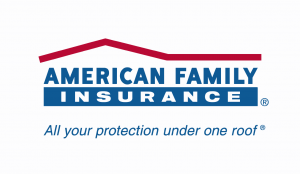 Certainly in the Minneapolis & St. Paul area but also nationwide Travelers Insurance and American Family Insurance are what I have found to be the most cost effective carriers. If you are only going to get one quote for your home insurance then go with Travelers Insurance for the best price. Their policies are sold through many brokers but having the policy serviced through GEICO is quick, easy and means you have access to agents 24/7. If you have just bought your home or know what it would sell for otherwise then you should use that as the beginning basis for the dollar amount you should have insures. Then you can often check your county’s property website to see the county’s assessment of your property. Make sure their assessment is the same or lower than your market value assessment. Also, at this point note the amount the county has appraised your raw land to be worth. Now, it is customary to only insure the value of the home sitting on your land and not the value of your land itself. This is because if there is a loss from a storm for instance only your actual house can sustain damage. Even if your house is completely destroyed you are still left with an empty lot which should hold the county’s assessed value even without a house on it. So, the amount of insurance you need should be no more than the market value of your house minus your land value. If you talk to an insurance broker they will tell you that you need to insure the rebuild value of your house. That’s how much it would cost to hire contractors to rebuild your house from scratch. This value can end up being much more than the actual market value of your house or what you could sell your house for. This is good advice only if you want to pay more for insurance and have the privilege of rebuilding your house on the spot rather than moving to a new house in the event your house is completely destroyed. So, if you have a magical location and don’t mind waiting the 1-2 years that it takes to rebuild a house then you may want to insure the rebuild cost of your house. But, for the rest of us that would want to get on with our lives it makes more sense to sell your land where your house was destroyed and buy a new house nearby. If you fit into this category than you only need to pay for insurance on the market value of your house which could be quite a bit less than the rebuild value. The next challenge is that insurance companies, Travelers and American Family included do not give you the option to directly insure only the market value of your home. Therefore you are left with only the option to legally minimize the rebuild cost of your home in the eyes of your insurance carrier to the point where it is the same as the market value. You would have to consult a professional of some sort to understand what is legal but the general procedure to determine the rebuild value of your house involves a questionnaire. The insurance company asks you questions like what is the total square feet of your house. If you don’t know they will use the value on file with the county. However, if you measure the square feet of your house yourself and come up with a lower value then that is the most effective way to lower the rebuild value that the insurance company calculates. Other questions you have the option of answering that contribute to the calculation are how many bedrooms do you have, what remodeling has been done recently and what other structures are there on the property to insure. Don’t pay extra by over insuring your home using the values that your insurance company gives you. Take your own house measurements and legally minimize the coverage amount your company offers you. As long as your coverage amount is the market value of your property minus the land value then you should have enough coverage to move into a similar home if yours is destroyed.